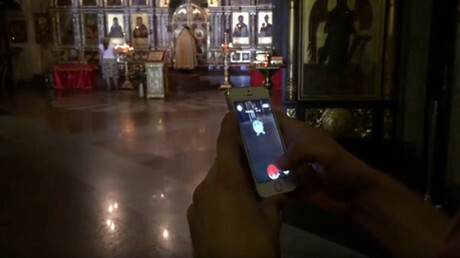 A court in central Russia has handed a three-and-a-half-year suspended sentence to a young man who played ‘Pokémon Go’ in a local church while making derogatory comments about religion, recording the process and later posting the video on the internet. The story has caused major debates in the Russian mass media and on the internet since it emerged in September 2016. Ruslan Sokolovskiy, who was 20 at that time, gained notoriety after he went to the Yekaterinburg Church of All Saints and began playing the augmented reality game Pokémon Go inside, at the same time making various insulting comments about religion. Sokolovskiy made a video of his actions and published it on YouTube, apparently in a bid to boost the popularity of his personal channel. The video soon attracted the attention of prosecutors, who started a criminal case based on charges of instigating hatred and insulting religious believers’ feelings. Some of the congregation of the church where Sokolovskiy shot the video acted as witnesses, and the clip itself was used as evidence in the process. The suspect was at first detained but soon placed under house arrest, pending trial. 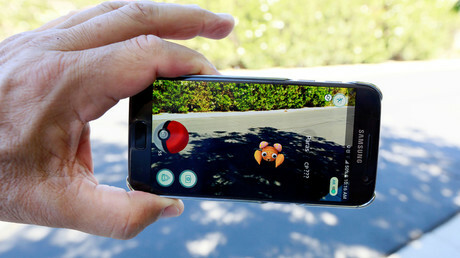 As the mass media began to describe Sokolovskiy as a ‘Pokémon catcher,’ court officials and forensic experts who analyzed the video emphasized that he had been prosecuted not for playing the augmented reality game, but for vulgar and insulting comments that he made in publicly-distributed material. In particular, he mocked the religious laws and traditions of Christians and Muslims, and insulted senior clerics and Jesus Christ himself. The blogger has never denied that he was the author of the videos, but insisted that he had no intention to insult anyone when he was making them. Prosecutors had asked the court to sentence Sokolovskiy to three-and-a-half-years in a prison colony, and had warned against passing a suspended sentence, suggesting it could create the impression of an excessively soft punishment. Nevertheless, the court took into consideration the plea of the convict’s mother and the fact that he had apologized to church-goers during the trial. On Thursday, a judge in the Verkh-Isetsk district court in Yekaterinburg convicted Sokolovskiy of instigating strife and insulting the religious feelings of Russian citizens. Despite the prosecutors’ request, the judge sentenced him to three-and-a-half years suspended, and ordered that all the insulting videos be deleted. 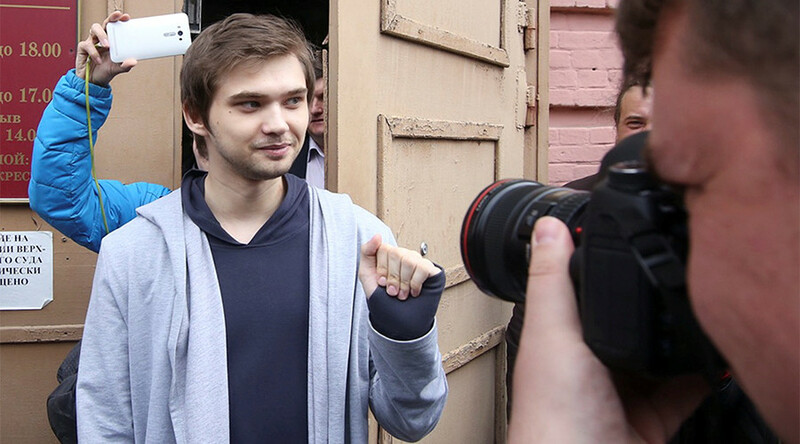 In addition, the court banned Sokolovskiy from taking part in public events and rallies. In press comments on Thursday, Sokolovskiy said that he considered the sentence “nearly an acquittal,” adding that he was happy to avoid prison. A representative of the Agora NGO, which defended Sokolovskiy in court, also called the sentence “a victory,” but added that the defense would in any case appeal in the Sverdlovsk Regional Court. Prosecutors said that they were satisfied with the sentence and respected the decision to make it suspended. The deputy head of the missions department of the Moscow Patriarchate said that the Russian Orthodox Church hoped that Sokolovskiy would see the sentence as a sign that mercy exists in this world and that God is the source of this mercy.